Thrissur often referred to as the 'cultural capital of Kerala'. Thrissur often referred to as the 'cultural capital of Kerala' is adorned with many temples, churches and architectural wonders. Tourists never forget to visit this beautiful city on their trip to the state of Kerala, God's own country. The cities Art and culture is exquisitely inter- woven with the fabric of the society. The three premier institutes namely Kerala Sahitya Academy, Kerala Lalitha Kala Academy and Kerala Sangeetha Nataka Academy engaged in the development, conservation and preservation of various forms of art like literature, drama, theatre, painting, sculpture etc. of the State functions at Thrissur. The rich cultural heritage of the city reflects itself through many ancient monuments which in fact are architectural wonders that adorns the numerous temples and churches that bless the City. The Literature and music exclusive to the region further take the Tourists to an altogether different magnitude and dimension which soak them in the sweet culture of the city. The city of Thrissur is very religious but also very secular in character owing to the presence of a plurality of both temples and churches. The Thrissur Pooram festival is highly acclaimed world over and is leading amongst the spectacular temple festivals of Kerala. Some of the magnificent temples located in the city are Thiruvambady temple, Vadakkumnathan temple and Paramekkavu temple. 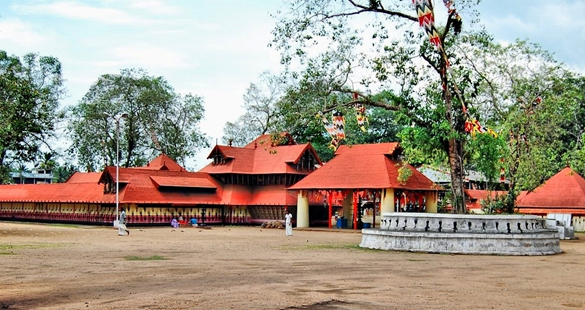 Vadakkumnathan Temple is a declared National Monument under the Ancient monuments and archaeological sites and remains act. 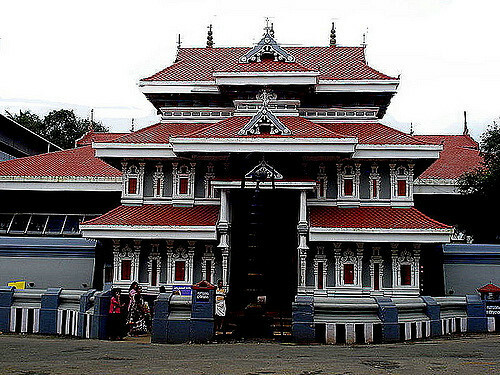 A voluminous temple in 10 acres believed to be built by Sage Parasurama who in fact is a protagonist in many a legend including that of the coming into being of the State of Kerala. The main deity of the Temple is Lord ParamaShiva. The famous ‘Thrissur Pooram’, fathered by SakthanThampuran, is celebrated in the precincts of the temple. To facilitate the Pooram SakthanThampuran cleared teak forests of 54 acres around the temple. The temple is enclosed by 15feet massive walls. 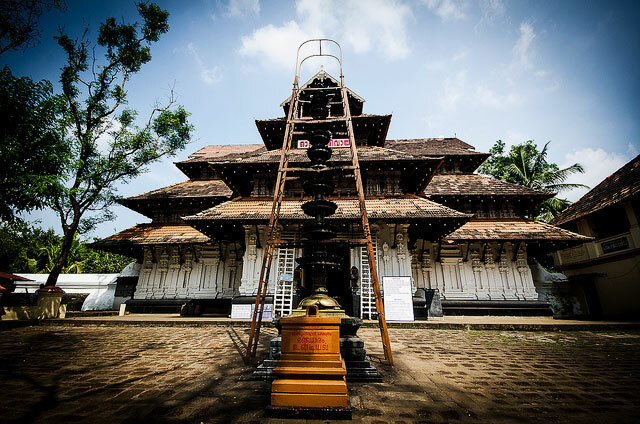 The four Gopurams carved in wood and stone is positioned four directions around the temple. Bali (sacrifice) stones in brass is seen everywhere. The ground is dotted with stone reliefs of prostrating men. The deities of Ayyappa and Rama, as ancillaries, are in comradeship with giant old trees. Adi Sankaracharya the famous Advaitha philosopher is also worshipped as a deity. The exquisitely carved wood beautifies the shrines and Koothambalam (Temple Theater). The Kerala’s own art form, Chakyarkoothu, is staged here very often in a specifically thatched roof structure. The idols of Shiva positioned all around the main altar. The deity Shiva is in the form of a big ‘mahalingam’ (Phallus.). Here the main offering is ghee. The ghee offered by the devotees is poured over the ‘lingam’. Over the years’ the many offerings that has been poured over and down has drowned the idol. At present the devotees can see only a mound of ghee. As a miracle, the ghee does not melt or emit any smell even though in summer the temperature rises up to 35 degree C. It is said a part of the ghee mound is more than 1000 years old. The ghee will not be removed. If and when any portion of the mound is collapsed, the same will be sold. If a collapse does taken place, it is believed as a sign of some evil about to happen in Thrissur. Seven years back there was a partial collapse of ghee prior to the Pooram and during the Pooram fireworks an accident snatched the life of three. The Deity being young Sree Krishna and along Of the State Paramekkavu is especially famous for it with Paramekkavu Bhagavathy is another of the Being a protagonist temple in the famous Thrissur Pooram. The major protagonist of Thrissur Pooram. To behold especially during the dusk and twilight. Located at 1-km from city center. 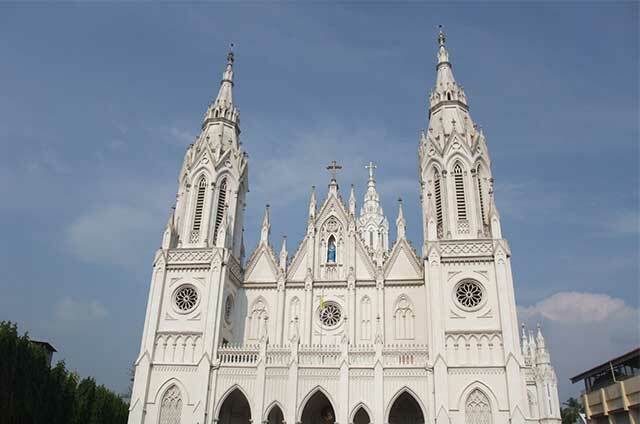 Our Lady of Lourdes Metropolitan Cathedral is one amongst the largest of Churches in India. The Cathedral came into being in 1887. One interesting aspect is that the cathedral has an underground shrine which is an architectural wonder.Located at 1.9-km from city center. The Church of Lady of Dolor’s is a popular tourist attraction and also a greatly visited pilgrim center of southern India. 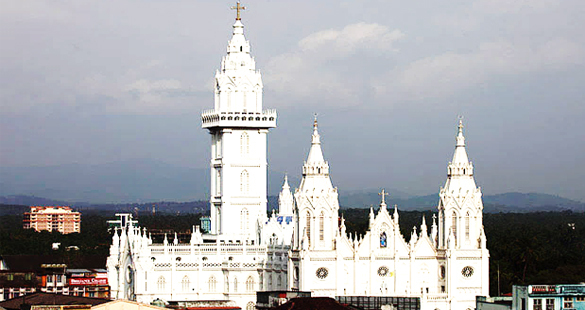 On 20th May 1992, the Church was consecrated by Cardinal Antony Padiyara as a Basilica. From then onwards it is known as the "Basilica of Our Lady of Dolor’s". The architecture of the church is exceptional with two massive belfries built in Gothic style. The dimension of the church is 370 feet long on the east-west side and 180 feet wide along the north-south side. The church is constructed on a total plinth area of 25,000 sq. ft. A tower of the height of 260 feet is present on the back of the Church. Located at 1.2-km from city center. The Sakthan Thampuran palace situated in the Thrissur city not only satiates the appetites of a history or architecture tasters but also those of us who like to see things of past just for their antique value and nostalgic feel. In the chronicles of the Perumpadappu Swaroopam, the dynasty that ruled Kochi, the palace has been considered as a landmark achievement. The Palace reflects the glory as well as certain remarkably exciting and exceptional traits in the character and conduct of erstwhile rulers of Kochi. Located at 850-mtr from city center. 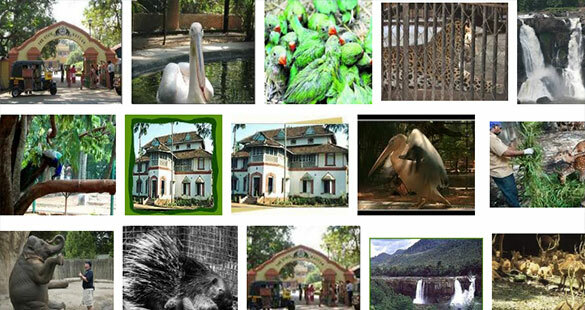 Thrissur Zoo and Museum has so to say traditionally been one of the major travel attractions in Thrissur. Occupying an extensive spread of 13.5 acres of land area, the zoological garden in Thrissur is home to a wide variety of animals, reptiles and birds. The species preserved include some of the rare and endangered varieties. Located at 1.8-km from city center. 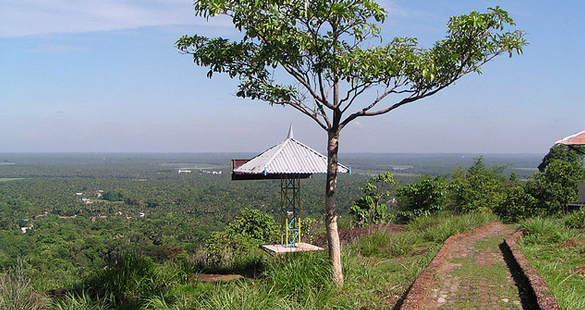 Vilangan Hills, Thrissur is a hillock, set amidst a picturesque locale. 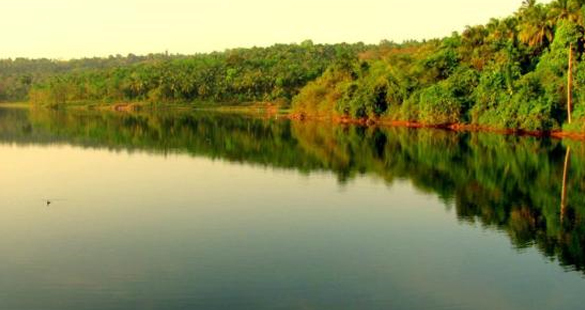 Situated on the outskirts of the main city of Thrissur, it is about 5 km from the city center. It lies on the coast of Arabian Sea and attracts domestic tourists and local people. The beach is situated 5 Kilometers from Guruvayoor Sri Krishna Temple. Here, in a rare occurrence the sea meets the river with the meeting point being termed as estuary. The same is known as Azhimokam in Malayalam. Guruvayur Railway Station is the nearest station to Chavakkad Beach. For long distance trains, Thrissur Railway Station is the major rail head from where you can get all South Indian and North Indian trains. Cochin International Airport is the nearest airport to Chavakkad Beach which is 80 Kilometers away. Domestic and international flights are available from here. Calicut International Airport is around 104 Kilometers away from Chavakkad Beach. Local rulers, Punnathur Rajas built a palace which was called Punnathur Kotta (Punnathur Fort). After the demise of the last ruler Goda Varma Valia Raja, the property went to receivership. 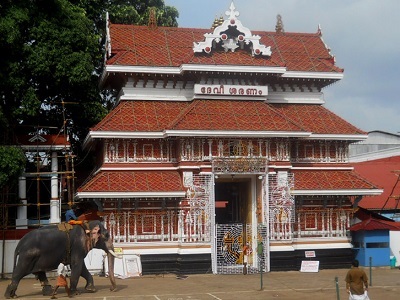 Soon after purchasing it in 1975, Guruvayoor temple committee relocated their elephants here. Traditional Kerala architecture of quart rete (Nalu Kettu),is in full bloom here and this palace has a heritage of about 400 years. Located prominently in the middle of the sanctuary, it is currently used as a Mahout training Centre. Veeragadha, the movie that won several national awards had many scenes filmed here.There is also a small temple in the premise. The deities are Lord Siva and Bhagavatthi. An elephant sanctuary, located just three kilometres away from the Guruvayoor temple. 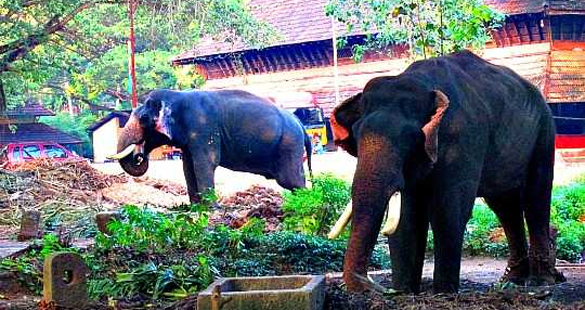 The 10 acre coconut plot is home to more than 60 elephants belonging to the Guruvayoor Sree Krishna temple. At Punnathur Kotta, you can watch the fascinating animals in their natural habitat. A range of elephants, from juniors to giants can be seen from just a few meters away. If timing is right, visitors also get to see washing or feeding them. AARAATTUPUZHA TEMPLE 16 km away from Thrissur with Dharma Sastha as the main deity this 1500 years old glorious temple famous for its annual festival which in fact is a conglomeration of festivals of 41 temples with deities of each of these temples seated on elephants representing the respective temples marching to the Aaraatupuzha temple on Pooram day making it around 65 to 101 caparisoned elephants arranged in an horizontal alignment and producing a mesmerizing effect. The traditional temple orchestra lead by the drum called’ chenda’ and’ panchavaadyam’ lead by another drum named ‘Thimala’ flows, fills and intoxicates the whole space and atmosphere as they are accompanied classically, textually and artistically by all the other temple instruments and the rhythmic sounds produce an ambience and thousands of spectators ride scale high on to the peak of amusement. The temple was built by the Chera king, Chenguthuvan. The deity, Bhadrakali is elieved to possess immense power. The major festival ‘Bharani’ celebrated in Meenam (March-April) symbolize the killing of a demon. The festival prolonging seven days has an unusual feature which is the obscene songs sung by the devotees to appease the deity. The intensity of the songs has come down considerably following vehement protests from various learned sections. The government is afraid of banning it, fearing backlash from some sections. Yet another unusual ritualistic custom also prevails here – butchering of chicken during the festival. Thousands of pilgrims with swords in hand and wearing the red dress of the oracle come during the festival. Together they provide a magically realistic sight to watch. Located at 38.2-km from Trissur and 48.6 -km from Guruvayoor. 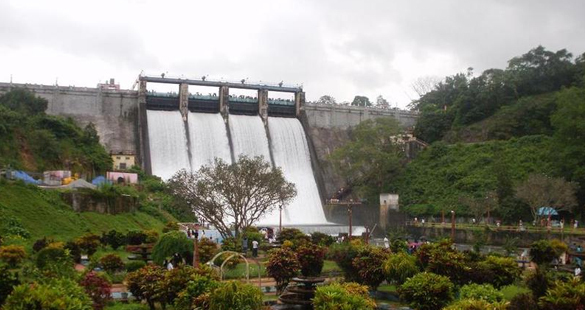 Located at 25-km from Thrissur. The temple is considered of in 9th century with many structures repaired during the course of centuries. There is a 10-day long festival during Medam (April-May). A grand stage for Kerala’s own Art forms which in fact is an essential part of the festival. During Karkidakam (July-August) Anguliangamkoothu, Ramayanamkoothu and Koodiyattam (all the three are Kerala’s own performing arts)are staged here. The two picturesque and majestic waterfalls, Athirapally and Vazhachal, five km apart, on the edge of the Sholayar forest ranges plummets down 80 ft is a sight to behold and accordingly has been a frame many a feature films in Indian film Industry. The cool spray spreads a large area across the length and breadth of the surroundings as according to its seasonal severity and makes Athirapally a scenic location. 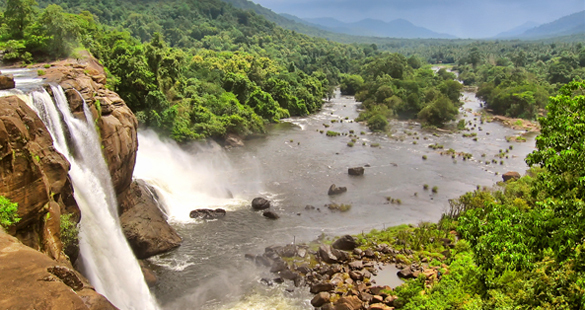 The picturesque Vazhachal waterfall is close to dense green forests and is a part of the Chalakudy River. Thrissur (Major station) about 63 km & Chalakudy, about 35 km. Cochin International Airport, about 58 km from Thrissur, is the nearest airport. St. Thomas Syro-Malabar Catholic Church, Palayur is located at Palayur, Thrissur district , State of Kerala on the west coast of India. 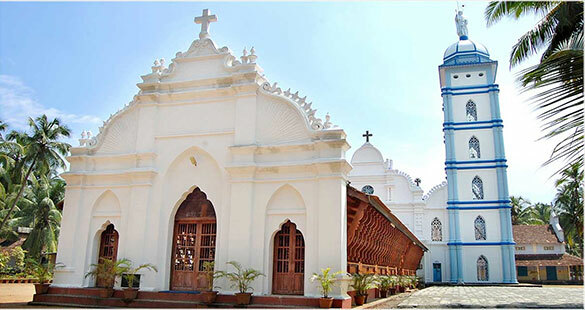 According to tradition was established in 52 AD by St Thomas, one of the twelve apostles of Jesus Christ and thus is the oldest church in India. It is called the Church credited to the Apostolate of St. Thomas who preached Christianity. It is part of the seven churches that Saint Thomas established in India. The original small Church structure was retained at the old site. But substantial renovations were carried out during the 17th century by Reverend Fenichi. Palayur church is well connected by road, rail and air services network. Palayur is of 28 kilometers from Thrissur by State Highway. By train, it is on the Thrissur - Guruvayoor broad gauge line - at a distance of 24 kilometers From Guruvayoor, the church is 3 kilometers (1.9 mi) by road. Nedumbasserry International Airport is only 80 kilometers from Palayur. he dam located so near to an urban area, just 12 km to be precise is not just a wonder in that sense but is known for its culture of anti-alcoholism so much so that it has de addiction center not just for the sake of it but one which has certain reputation and that is something considering the place is also a tourist destination. In Other words the place has something to offer for both for the hedonists as well for the spiritualists or the good Samaritans. 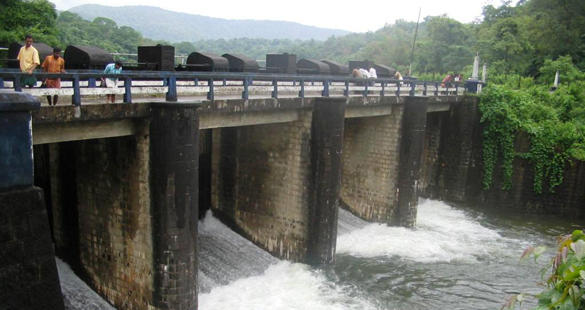 Located at 12-km from Thrissur. Is a mosque ; Thrissur district ; Indian state of Kerala. ; Built in 629 AD; it is the first mosque in India. ; It was built by Malik Deenar;propagator of Islam. ; The mosque was first renovated and reconstructed in the 11th century AD. 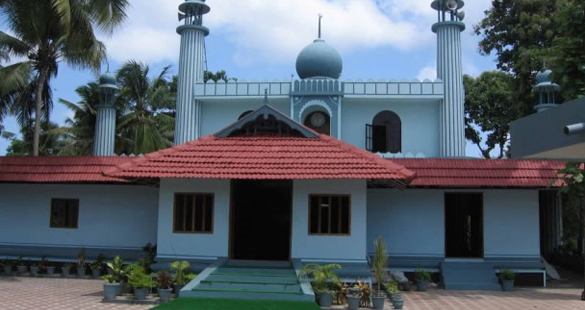 ; Cheraman Juma Masjid is located Paravur - Kudungallur Road, NH-17 at, Kudungallur Taluk, Kerala, India..
Thrissur district is a good spot for nature lovers. 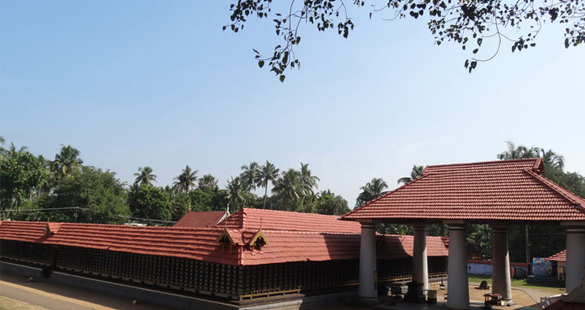 Established in 1958, this 125 square km sanctuary is about 20 km east of Thrissur. 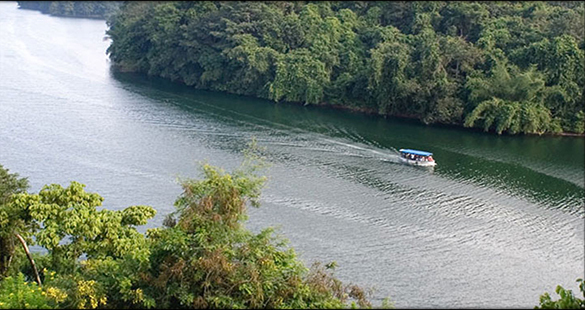 Located in Thrissur District in Kerala the backwaters start at a Lake and empties to Arabian Sea. The destination is blessed with mangroves, Chinese fishing nets, islands, migratory birds, estuary and a fort. In 2010, Government of Kerala has declared Chettuva as heritage village. Night reflections of lamps cross each other draws relentless ephemeral images. A hanging bridge, floating restaurant, swimming pool, yoga centre and jogging track are at your disposal. Evenings will row yourself in a country boat past the mangroves or will assist you with fishing rods or try out the Chinese fishing net. A luxurious three bedroom Kashmiri house boat built with sweet smelling Devdar wood and a two bedroom Kerala house boat are also available for stay. 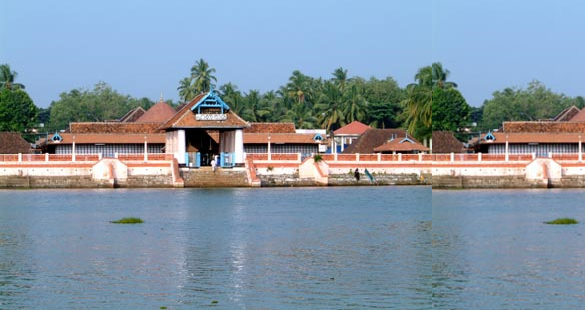 Chettuva located around 35 km from Thrissur is a popular tourist destination with its placid and serene backwaters. 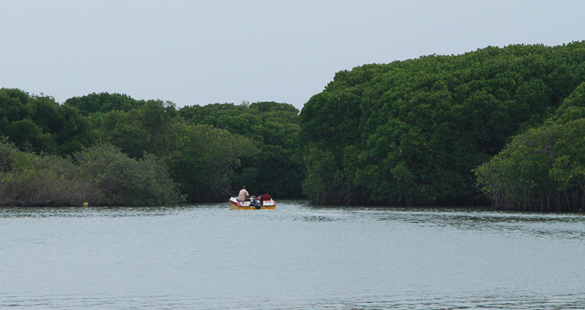 Dotted with mangrove vegetation and islets, the place is known for the tranquillity it offers. The serene beauty and exotic tropical charm of the Chettuva Backwaters has made it a place that provides an insight into the local life of the area. The small houseboats and shikaras here are ideal for a leisure cruise around the Chettuva lake, Kanoli kanal, Ennamavu kayal, Kadassankadavu and Tripayar. Motor boats are also available to take you on quick tour of the backwaters. 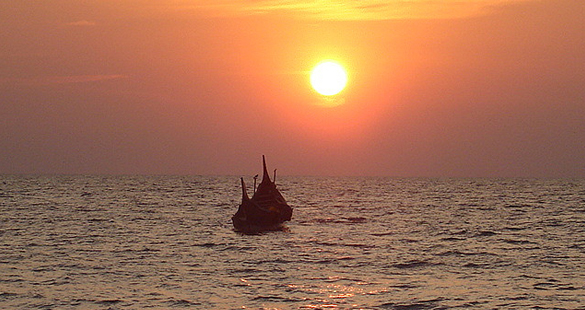 Usually sunset or sunrise cruises are preferred as it offers a glistening view of the landscape amidst the scattered rays. A beach in Thalikulam, Thrissur District I, Kerala State of India. It lies on the coast of Arabian Sea and attracts domestic tourists every season. 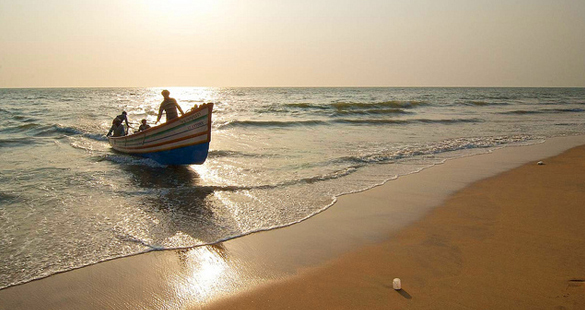 The beach was selected as the best beach tourism destination by the Department of Tourism Kerala. A children's park is located near to the beach with all facilities. An aquarium here has a large collection of marine species and a well maintained garden and tiled walkway attract tourists to this beach. A restaurant named Naalukettu is also available for tourists for enjoying coastal Thrissur sea food during the year 2010. Distance between Guruvayur and Snehatheeram Beach is 23 KM or 14.3 miles or 12.4 nautical miles.